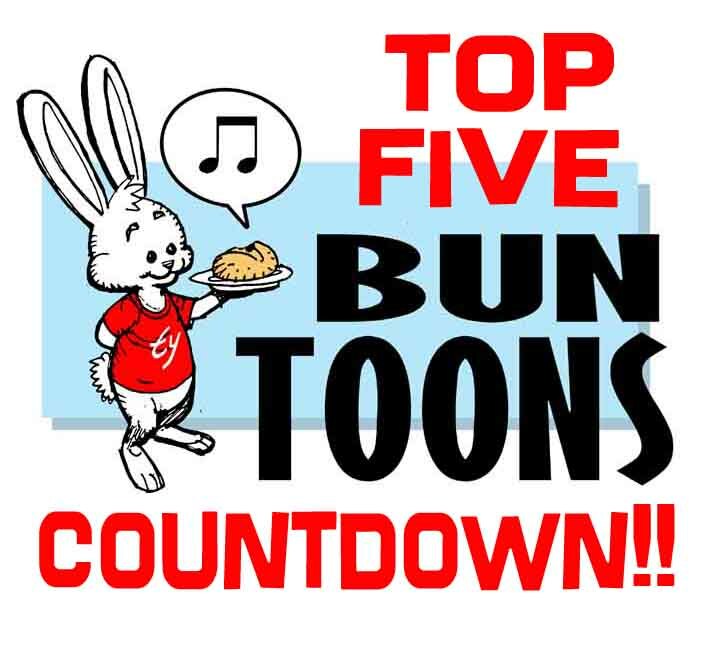 Bun Toons Countdown Part III (Blasphemy Edition)! The Glories and Failures of 2010! | Ty Templeton's ART LAND!! Bun Toons Countdown Part III (Blasphemy Edition)! The Glories and Failures of 2010! Take one part blasphemy – one part corporate owned super-hero property -and mix well. You end up with the most popular recurring gag I did this year in Bun Toons. Super-Heroes vs. the Gods! Don’t blame me, I was only filling a need. Coming Soon: The Mighty Xtapalatakettle vs. Herbie the Fat Fury! As of this writing, in the fight between Dr. Hawking and the Spectre, the score is Hawking 1, Spectre 0. Expect to see more of these preposterous team-ups as I think of religions I’m okay with making fun of. Scientology, Wicca, Nascar, etc. My mother won’t let me do the Wonder Woman vs. Mohammed strip I had planned, and the coward in me agrees. Here’s one of my favorites from 2010 toons…but it got overlooked in the ongoing media circus surrounding the Palin daughter on Dancing With the Stars. For weeks, our blog numbers sagged as we steadfastly refused to weigh in on the Palin “voting” issue, and the following Bun Toons went unnoticed by the interweb during those trying times. Besides, it only offends blind people, and they never read my blog. See you tomorrow with the Bun Toon that brought down the 2nd biggest Science Fiction franchise in history, and I’m NOT talking about Planet of the Apes (which is probably, like…sixth or something). Okay, sure we still gasp in awe at this. 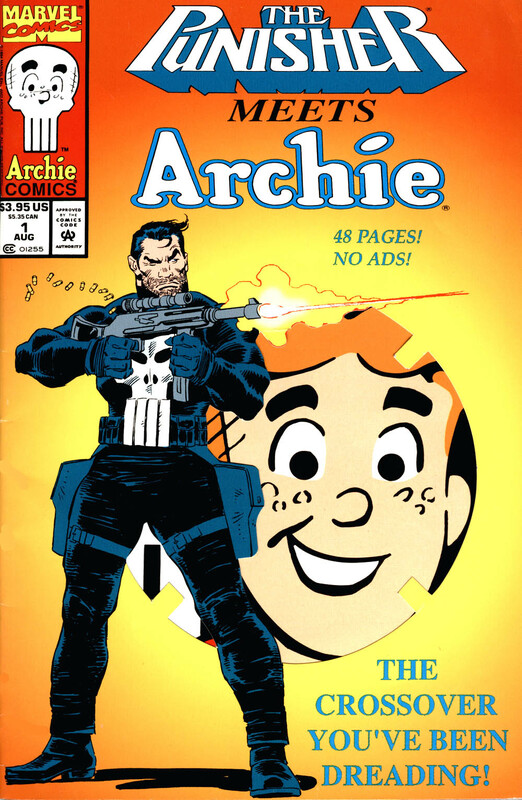 Did you ever see the ALT cover that came out from Marvel? I think they used clip art. And that tag line is so defensive about the whole project, it’s like you caught Marvel drunkenly groping your sister. 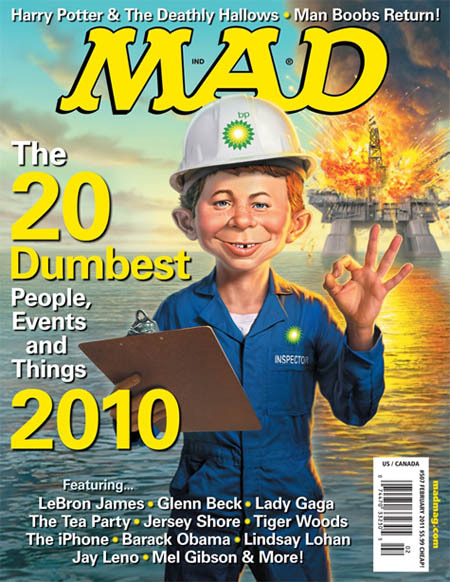 By the way, did you notice that I went the entire blog entry without mentioning that the big Mad Magazine Top 20 Dumbest Things of 2010 issue is in stores NOW? I never talked about it once. 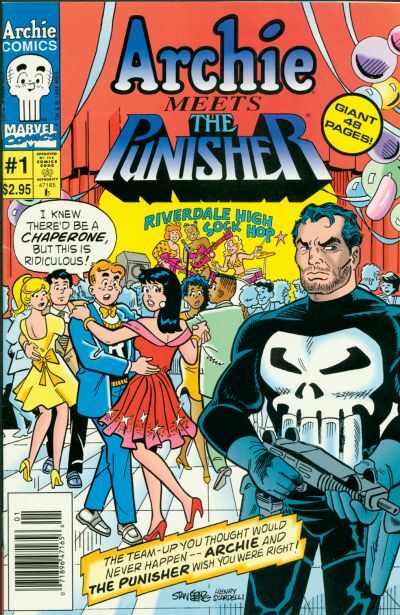 And I never showed you this cover. 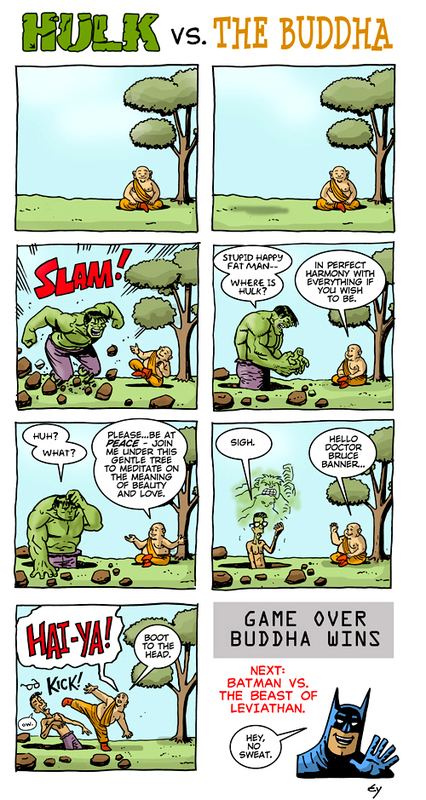 This entry was posted in bun toons, Ty's Top and tagged Archie, archie comics, Batman, Buddha, DC Comics, Hulk, Jesus, Leviathan, Mad Magazine, Marvel Comics, Punisher, Superman. Bookmark the permalink. Bwahahaha! You are a genius! Someone give you a book back!! An on-going!